This show prides itself as being a family oriented show with Junior show, Junior activities, and educational activities. 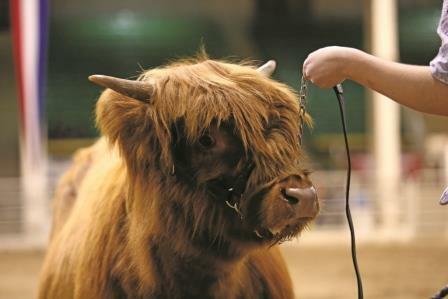 The show venue offers space for vendors and non-show exhibitors by making room for all Highland cattle breeders and enthusiasts to come and promote their wares in the spacious 100 x 200 foot cattle barn. The fairgrounds are easily accessible off of I-90 in south central Minnesota. ​Austin is also home to the SPAM Museum – second biggest tourist attraction in Minnesota. Grounds will be open for arrival on Friday, September 21st at 10:00 am, and cattle must be in place by 5:00 pm Friday night. For early arrival, please contact Mark Schulz. For more information, contact Mark Schulz at mark@flatlandfarm.com.